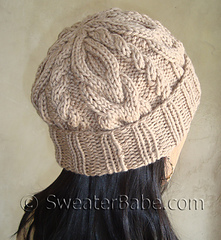 Slouchy hats are all the rage! Here is my version with big, bold cables. 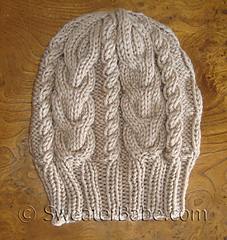 This hat is a super quick knit on DPNs and circular needles. 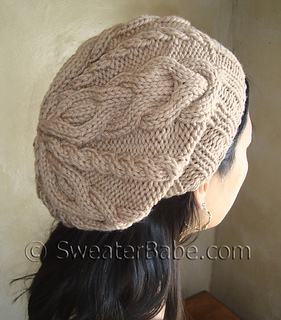 Big, dramatic cables make for a striking and comfy hat. 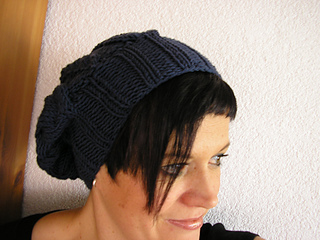 Chunky ribbed brim can be folded up or left as is for maximum slouchiness. 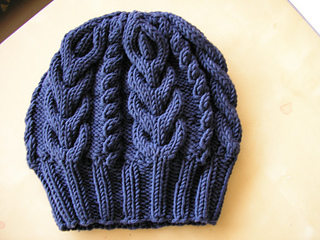 The top of the hat has decreases that create a cool, decorative flower effect. 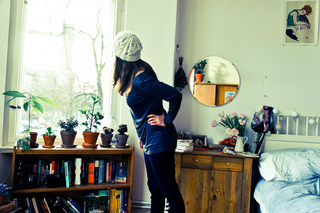 Your hat will look great as you are coming and going. 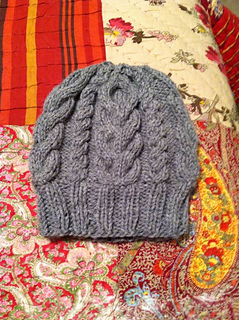 Plus, this hat uses less than 2 hanks of yarn!